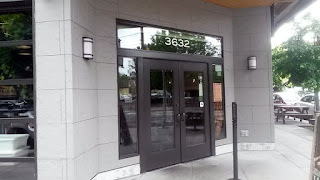 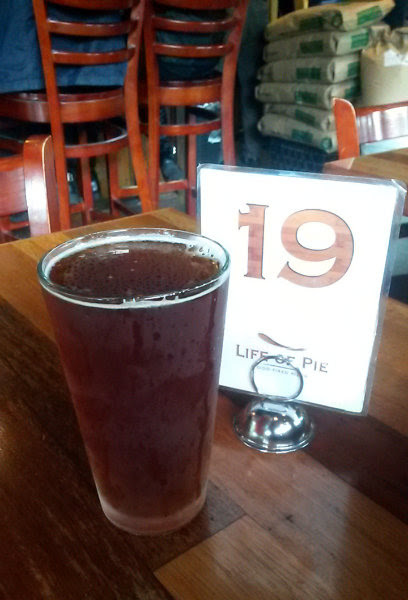 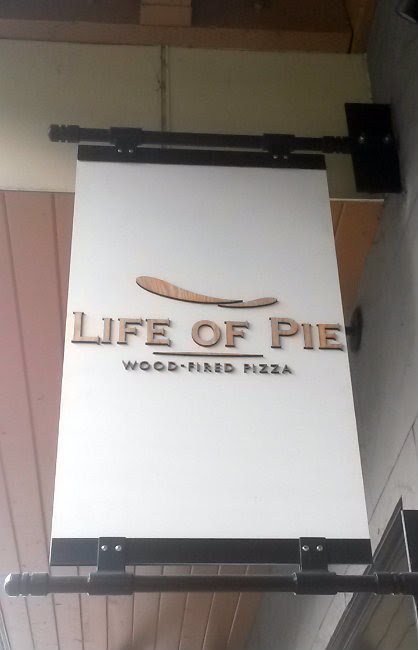 Life of Pie Pizza is located on N Williams Avenue in Portland, Oregon. 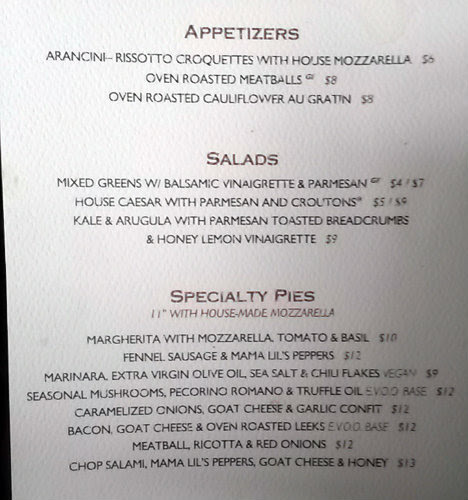 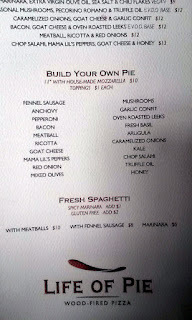 The menu is basically some appetizers, pasta, and their signature 11" wood-fired pizzas. 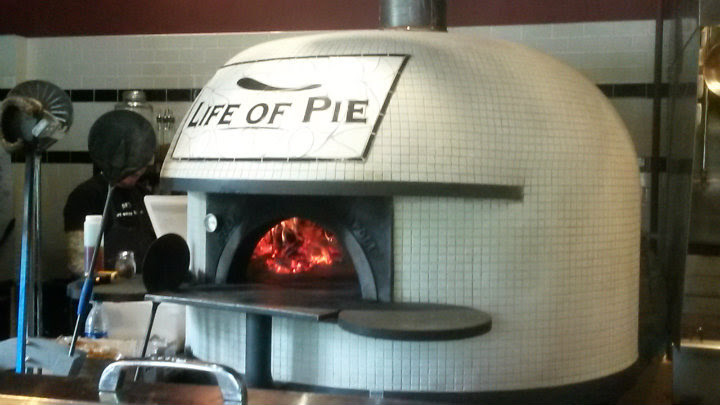 Life of Pie went all out to get one of the best wood-fired pizza ovens available. The oven is 6,900 pounds and was made by Stefano Ferrara in Napoli, Italy. 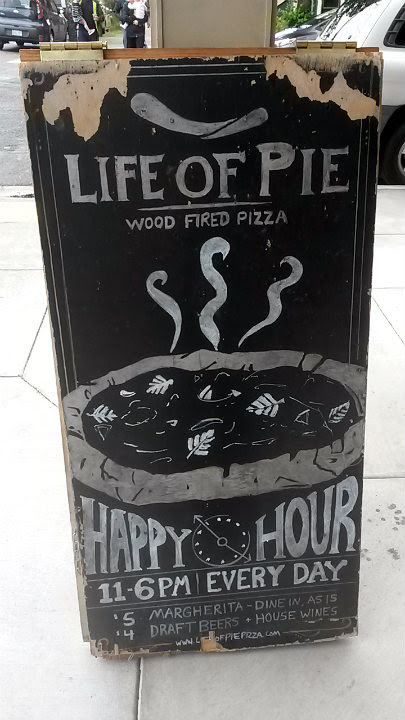 If you're heading here, I definitely recommend the Happy Hour specials. 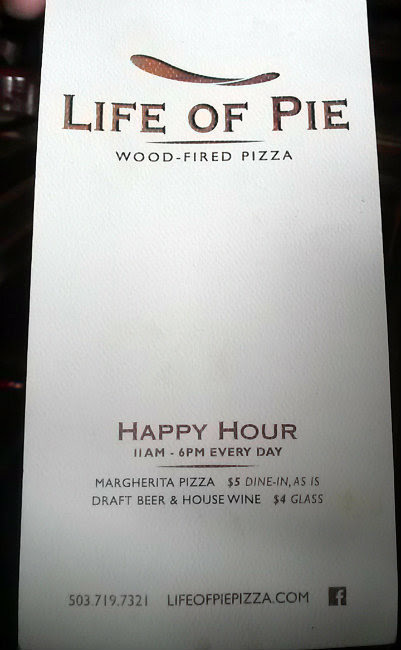 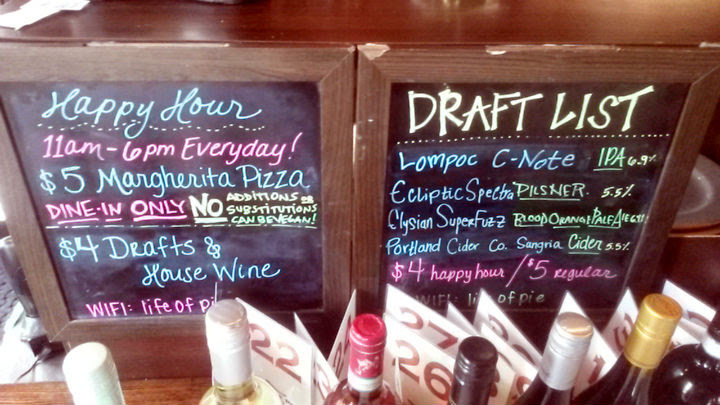 As of this blog post, it's a $5 Margherita pizza (regular price $10), $4 draft beers ($1 off regular price), and $4 house wines. 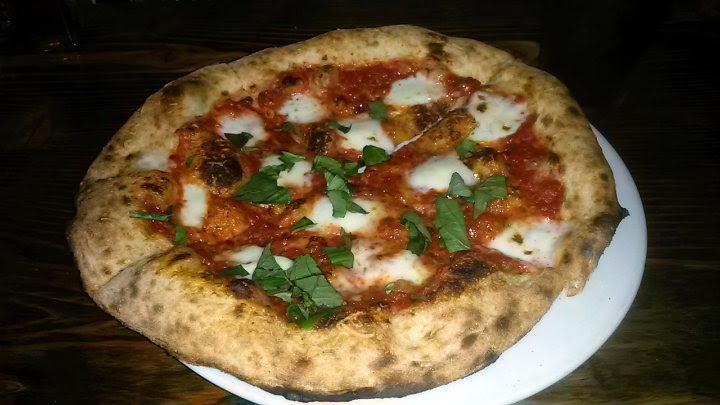 Naturally, I had to get that Margherita pizza, as it's my basic go-to when trying a new pizza place. Awesome mozzarella, tomato, and basil. The sauce is outstanding. 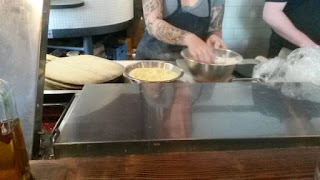 Wonderful light char on the underside of the pizza, and a fluffy, slightly crunchy crust. They also have a house-made chile oil. 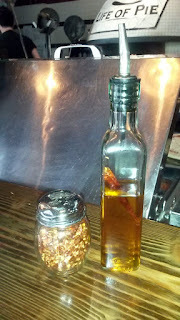 It's mild on spice and also includes fennel. 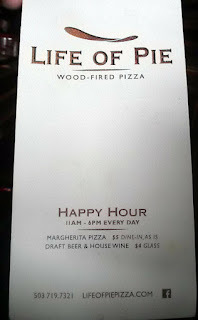 Very good with the Margherita pizza. 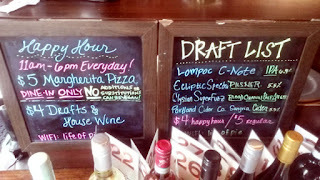 The draft beers will rotate, but I got a Lompoc C-Note IPA. A very solid choice if you like American IPAs. 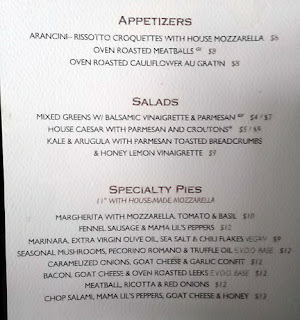 Scanning the menu further, they even have Arancini ($6) and oven-roasted meatball ($8) appetizers. 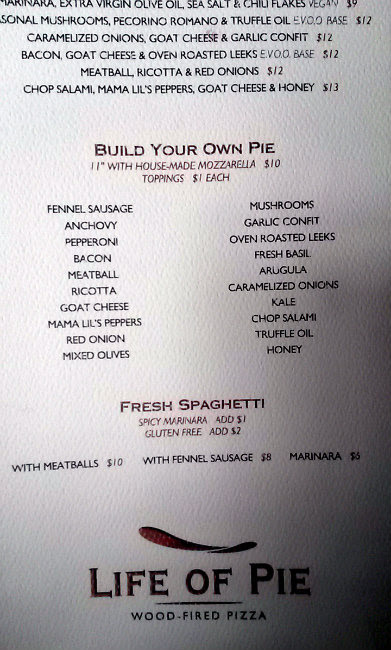 They have a build-your-own pizza option.